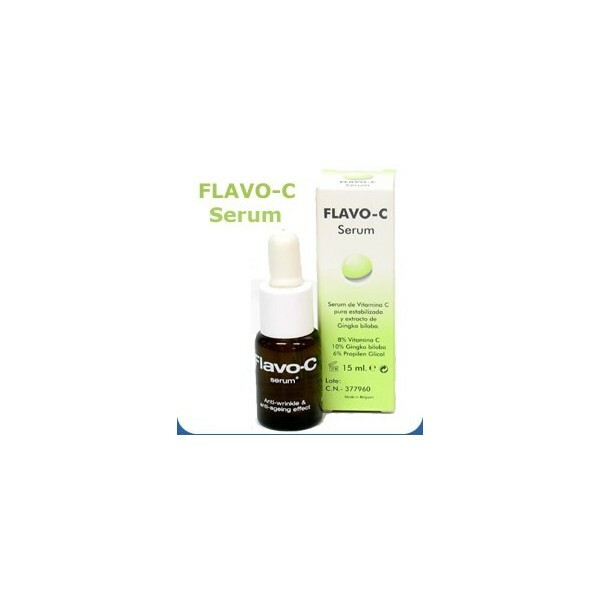 Vitamin C Serum with pure stabilized and Gingko biloba extract PROPERTY It prevents the skin aging. Delays the onset of wrinkles. It provides greater stability skin. Indicates For treat wrinkles, and oxidative aging of the skin of the face, neck and neckline. 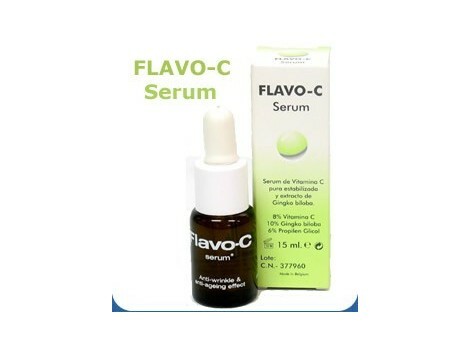 Employee Apply a few drops of Flav-C on his face once clean and dry, morning and evening. Present Pack of 15 ml.